Management at the Halifax Fire Department has again failed to properly address racist behaviour, say black firefighters. Last month, a black firefighter assigned to Station 50 on Hammonds Plain Road picked up a clipboard with the daily checklist for fire truck inspection, and discovered a racist and sexist "poem" written on the back of the clipboard. The firefighter immediately reported the incident to superiors but management did not issue a condemnation of the incident until after the Halifax Association of Black Fire Fighters complained. 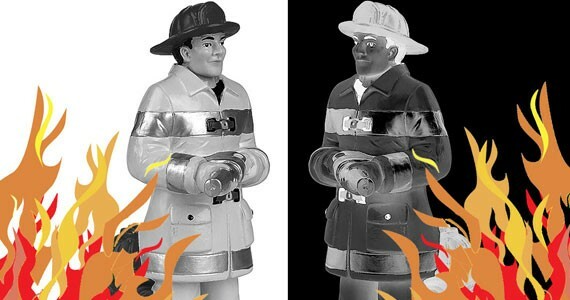 The week delay angers the HABFF, as an immediate and public management condemnation of racist incidents was a policy recommended by a human rights lawyer hired by the city to investigate what black firefighters say is a long history of discrimination in the fire department. The Station 50 incident mirrors a 2005 incident at Fire Station 9, in Sackville, in which the n-word was scribbled on a poster in a washroom. That incident was one of many cited in a human rights complaint filed by the HABFF (see "Black firefighters file human rights complaint," April 2, 2009). For more on this story, and to read the Fire Department's delayed condemnation, see thecoast.ca/bites. Editor's note: The following was issued by The Coast on April 13, 2010. 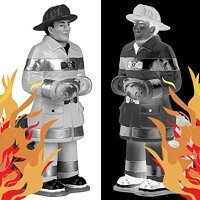 On March 10, 2010 The Coast posted an article on our website entitled "Black firefighters enraged." As with all of our stories, readers were invited to comment on the article. Unfortunately, several readers took this opportunity to write defamatory comments about Halifax Regional Municipality Fire Services Chief Bill Mosher and Deputy Chief Steve Thurber. These comments were completely unsubstantiated and have harmed the reputations of Chief Mosher and Deputy Chief Thurber. The Coast sincerely apologizes to Chief Mosher and Deputy Chief Thurber for the damage to their reputations and the pain and suffering they have endured as a result of the defamatory comments which The Coast permitted to be posted on its website. The postings have been removed from our website. As a consequence of the abuse of our comments policy, further comment posting in respect to this story will not be accepted.